As many of you know from watching blog postings here, I have made it my mission to photograph, survey, and catalog every USHCN station for the purposes of doing a qualitative analysis on the near surface temperature data produced by the USHCN dataset. To that end, I have created http://www.surfacestations.org which links to a separate photographic database server that I have set up. It was designed from the start to be collaborative. Therefore I’m writing today to ask your assistance in this project. The photographic database server has been setup and running successfully for about 10 days now, and between myself and my associate Russ Steele, we have managed to survey, photograph, and upload a number of USHCN stations in California. Feel free to visit and browse the online database to locate those California stations to see what we’ve found so far. I have plans also to include the GHCN dataset and various GISS stations that are not part of the USHCN set. But given the sheer volume of that task, I’m deferring that until I can complete a database import mechanism. For now lets concentrate on USHCN. If you’d like to survey photograph and photograph a USHCN station near you its just a few simple steps. Locate the USHCN stations near you, a list is posted by state on http://www.surfacestations.org on the online photographic database server. You can also visit http://www.surfacestations.org/USHCN_stationlist.htm and select from the list there. Photograph and survey the station, including getting a GPS fix. Fill in the blanks in the site survey form, and prepare your pictures for upload. Register your email account at http://www.surfacestations.org, then locate the station placeholder. If the station placeholder does not yet exist contact my assistant Jenni, jenni@itworks.com and she’ll setup a blank placeholder album for you. Upload your pictures and site survey to the USHCN album with the name of the station you surveyed. We will be actively creating new station placeholders for you to upload your results to this week. For now, there’s plenty of time to go have a fun an informative adventure in tracking down all the 1221 USHCN weather stations and getting them surveyed. This entry was written by Stephen McIntyre, posted on Jun 4, 2007 at 3:33 PM, filed under Surface Record. Bookmark the permalink. Follow any comments here with the RSS feed for this post. Both comments and trackbacks are currently closed. Great idea, and best of luck to all. Photographs are no longer permitted as evidence, however; the wisdom of which restriction was publicly proved by the scandal of altered Beirut photos that struck Reuters. So, in the interests of demonstrating veracity, it might be worthwhile to retain the photos as bitmaps, and to have some automatic photo scanning software check all up-linked photographs of microsites to verify to reasonable surety that they’ve not been altered (photoshopped — a recently-emerged lowercase generic verb meaning to fabricate a digital photographic fraud). Great job Anthony. I’m happy to see your recent set of posts get some play on the ‘net on a few non-climate sites. Over the coming weeks, due to your inspiration, I plan to inspect the North Georgia Atlanta grid of 15 or so stations. This is a great effort. I’ll be sending you some data, also, if I can find any stations around here that meet your requirements. RE1, Pat thats a good idea, I suggest everone whom submits photos burn them to a CD for safekeeping, just in case the issued is ever raised in a way that requires proof from the original surveyor. As a hedge though, thats why I’ve suggested in the “How to guide” that you locate the station on Google Maps and provid ea link to it in the survey form. This will enable viewing of any potential issues from a second independent source for a reality check. My goal here is to make everything open for inspection and criticism, and most importantly to make everything independently repeatable. I posted one more phote (aerial shot) for Liberty, Texas and tried to post the survey form (see e-mail to you). On the website you might want to have a contact-us link for questions and to help komputerklutz like me. It took me a minute to figure out that, to call up an album, you need to click on the photo – it’s obvious now, but I was slow on the uptake. I plan to add more southern US sites in the coming months. It’s fun, as it requires assembling and pursuing clues just to find the site. The only requirement is that it be a USHCN station. There are no other requirements of any kind. I am in North Georgia/Atlanta as well. I had looked forward to do a little surveying myself. Perhaps Anthony can forward you my e-mail address and we can divide and conquer. Anthony I registered, and am assuming you can facilitate e-mail address exchange if/when Joel registers. Let me know. By the way, looking at Covington, Dahlonega, Gainesville, Milledgeville, Newnan, Rome, Toccoa, Warrenton, and Washington – not much warming. Only Gainesville and Milledgeville are positive using the defaults on the C02 science trend maker. The site survey form is here in MS Word format. Do a right click on the link and “save target as” to download to your hard drive. Appreciate your efforts in this, Anthony. I’d delight in participating. Though I’m lacking a GPS, I’ve had my eye on a particular Garmin model for a while. South Mississippi is my location. Anthony, no sites are listed for Hawaii or Alaska. Sorry I can’t help with some Maui stations. But great start! Your instructions appear to be very thorough. I look forward to the enthusiastic co-operation of the readers of CA. Maybe at some point I’ll get a chance to help. Should be an interesting and productive exercise regardless of the conclusions reached. I will be following it. RE13 will do, I’ll add a sample completed survey form and sample album to the Help and How to section of the database website with a link from main website. Still learning as we go, ideas and suggestions are most welcome. Thanks for taking the initiative with this, Anthony. As amateurs have made genuine contributions to astronomical science with comet and meteor sitings for example, I’m hoping this network of station verifiers you’ve inspired can do something similar in climate science. I drive by a station in RI every day and will be adding it soon. Since many of these stations are located at airports, there are bound to be some potentially negative reactions by security-minded people when they see a stranger poking around and taking photos. Any thoughts about a standard way to handle the question, “What do you think you’re doing? !” Maybe an explanatory form on the website that can be printed and handed out, sort of like a business card? At the Sunsanville AP, it was a Sunday, and I did not see anyone around except some cars on the ramp near an airplane. Lights in the operations office looked like they were off, and it was a Sunday, so I just drove through the open gate and to the end of the ramp, and then walked to the sensor site. Soon an electric cart came zooming over the sage brush, and the driver demanded, “what are you doing.” Once I explained to the air port operator what I was doing, and they were OK with my survey and offered some historical information. But, offered this advice. Next time stop by the operations office and ask first. “We do not like strangers wandering around our ramp,” they said. So, my advise is seek out Air Port Operations Office and ask to make a photo survey. The operations people can also help with the history of the site. The Susanville operators even called a retried guy to get infomation about the paint used on the old shelter, and they were able to point out past locations of the shelter. All valuable information. I can cover 3 or 4 sites in north AL and maybe even a few in southern TN. I’ll get at least NAS Patuxent River, Maryland, and perhaps othre sites in the D.C. area. Print out the “How to Guide” from the website and carry it with you. Ther’s a picture with it to help people identify what you are talking about, and by showing them the document showing step by step what you are trying to do, it should ease concerns. I agree with Russ, first stop at any airport should be the AP office. I just surveyed Sacramento Executive airport last Friday (even though not a USHCN station) because I wanted to test out this very issue. I stopped in the office, announced who I was and asked for the AP manager. I explained clearly what my purpose was and showed him the “how to guide”, plus my camera and GPS unit. Once he realized I was harmless, he offered to put me in the AP official tarmac truck and drive me there! He did, I got the photos, and he was intrigued by the story. Eli: One way to correct for the Urban Auditor Island effect is, simply, to record *all* the stations. Each person may get the ones closest to them first, but the auditors live in or visit a great many places and this is the sort of project distributed internet interest groups do surprisingly well. The Degree Confluence project is a decent proof-of-concept and example of how to go about it. Just one minor but nonetheless important typo on your web site where you list the blogs – Steve’s surname is McIntyre not McItyre. I also think that John A deserves a mention for Climateaudit but as I understand it wishes to remain anonymous? 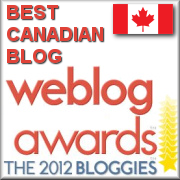 Also RC visitors please note that Anthony and Russ list RC as well as CA on their list of blogs. Isn’t about time that RC included CA and now surfacestations.org on its list of web sites? As a visitor from the UK, I’m now feeling a bit left out. Can you point me to a list of all GCHN(?) weather stations in the UK, particular any in the north west of England? Whenever you are ready to extend this very worthwhile exercise as far as the tiny island that I inhabit in the western Atlantic, sometimes known as the UK, I’ll be delighted to help, but at the moment I don’t seem to be able to locate the GHCN sites here. Looking at what other werb sites are saying about your heretical activities, I think that you have a tiger by the tail. Great work and congratulations! Ouch!!! The excitement of it all was just too much. Hi there Tony N! Had a pleasant voyage?? What dragged UK to the western Atlantic?? Unprecedented easterly hurricane strength winds?? the “blackest” countries, densest ghcn-wise..
Actually I think it was an unpresedented wobble in the MOC that did it. We could always try and audit those stations which are part of the Central England Temperature (http://badc.nerc.ac.uk/data/cet/map.html). There are only 4 stations used currently (Rothamsted, Malvern, Squires Gate and Stonyhurst), and those are not very near to me (even though I live in the Centre of England): are you any closer? Might be instructive to look at these 4 sites and to compare them to the others available in the CET ‘triangle). Any thoughts? My understanding was that some people were skeptical of the historical temperature records produced for mass consumption. I never counted you in this group, but now you say these people have the goal of falsifying this record which makes it seem as though you think this is a plausible goal. Maybe you aren’t so froward after all. Truly excellent idea. I checked my area (Northern Va) and was suprised to find no stations in the entire area closer than Fredricksburg. Is that common to have no surface stations anywhere near a large urban area like Northern VA? I noticed the same think when I looked for stations in the DC area. Here is a great critique of Hansen if you have some time to read it. It is especially devestating on methane. numbers to the appropriate country. group on which Anthony is currently concentrating. not inlude most weather observation stations. for example, Jones claims about Homogeniety adjustments. time, or changes in instrumentation. it will be hypotheses about homogeniety adjustments. an incinerator. one can be motivated to ignore this fact, however. BTW, many of the stations listed may no longer be in operation. I will add the big list of GHCN stations to the site shortly. Today however, having spent days at my computer, I’m off on another survey adventure in California, so I won’t be posting as much in the next 3-4 days. Rest assured though I’ll have news upon my return. In the meantime, if you need any additions, contact my assistant jenni at the email address listed in the announcement above. On Odd sites you have forest grove mislabelled as CALIFORIA. Should be Oregon. the benefits of being Open. the army of davids. Isn’t that the purpose of an audit? When someone peer reviews any work, aren’t you looking for problems in the work? Great idea. I plan look up some sites in my home state of VA. I have a question on the satellite vs. surface record: aren’t the two supposed to be consistent now? If so, can someone familiar with the subject tell me in what way they are considered to be consistent, or at least point to some references? Eg, by “consistent” does it mean the satellites give the same reading when they are pointed at areas in which thermometers are located? Or does the satellite measure temperature over a much larger area? If the latter is true, and there are a significant number of “bad” surface stations inflating temperatures, then it is hard to see how the satellite record could be consistent with surface temperature. Put another way, if the satellite record is consistent with the surface record, and the satellite record does not suffer from the kind of measurement issues discussed here, then I suspect the climatologists will argue (with some force) that ipso facto, the surface record must be pretty accurate. RE 24, 40 I fixed those typos, thanks for the sharp eyes, too much late night bleary eyed coding. Suggestions and error notices are always welcome. RE42 I think “falsify” is the wrong word. “test” or “quallity control analysis” are better descriptors. I believe that when the surveys are done, the data will stand on its own merit. And the results could show anything, including (based on sites visited already)that western states like California and Oregon for some reason have USHCN station sitings that are sub-optimal while other locations in the USA are fine. But since a broad photographic survey has never been done for the purpose of a nation-wide qualitative site evaluation, it surely is incumbent upon someone to do so. That someone, is an army of volunteers with an interest in seeing it done. Whatever the results demonstrate, the act of doing the work is of greater importance than the speculation on results. In this case, with everything being published, the results will certainly be testable by others, which is the hallmark of any good scientific study. As historical temperature measurements are unrepeatable, the process of scientific validation by independent experiment is impossible. The next best thing is to examine the apparatus used and that’s exactly what is proposed. Great idea and implementation Anthony! ps as there appear to be many non US readers here, would it be helpful to extend this survey beyond the CONUS? RE #43 I’ll post a chart this evening of the differences between satellite and surface readings – they are veering apart in recent months. What puzzles me is that there seem to be patterns – there are times where things are in agreement for months, and then they drift apart. I checked the entries in the NCDC database for a couple of random sites in my state of Georgia. They have what appear to be very detailed metadata — coordinates to more than 1000th of a degree, good station histories, and a short description of terrain and urban character. The entry for Marysville CA was much less detailed but it did note that the station is at the local fire station. So perhaps the NCDC database can at least be consulted for those hard to find stations, and perhaps for much more, depending. The orthodoxy are getting worried. To them, this is sacred ground. The truth is going to hurt, assuming that is ever gets out. First off, one doesn’t “falsify” a collection of data. It may seem funny, but I look at it another way. They have a theory that the global historical record looks the way it does. This theory is based upon a number of premises like: adjustments made to correct for UHI, station chanes, equipment changes and unexplained warm periods early in the record. It is a theory that can be falsified. People get confused by this. The global temperature record is not a record in the true sense but a theory of what the record would look like if it had been measured properly. Perhaps three checkboxes that connect to a cookie that connects to the DB search? RE: #50 – Well put. It is the work to audit the adjustments, tweaks, smoothings and filterings, which is the nub of the effort. change of sensor in 1984. Might I make a suggestion. With your survey report, include yes/no checkbox line items for the differnt criterea for a good site, as referenced in the guidlines for constructing a surface temperature monitoring station. For my part I’ll survey the NH sites. take some time off, got to go to the DMV one day soon anyways. My camera isn’t great, and I’ll have to borrow a GPS, but I think I can do it. Here’s a link listing small airports with weather station id numbers. It has 6+ digit lat-long accuracy. For those of us who like to see things happening, it would be great to see an indicator on the home page of how many surveys have been completed. Does your database allow for multiple surveys of the same site? Aren’t yo’l forgetting something in your enthusiasm? According to Eli, a photograph of a station is just one point in time, and don’t count because they’re only interested in temperature changes and not absolute temperatures. If I understand Eli, I think he would say it’s ok to site instruments on tarmac or next to aircon exhausts, as long as they remain there for all points in time. #56 Steve, per your request – a link to the NCDC metadata. This is a point and click exercise. I don’t know if the data are available in a flat file somewhere. This is for the Washington 2ESE Georgia site, near where I am working next week. It does appear that they’ve worked on Georgia quite a bit. To my eye it looks quite detailed. Select the “Location” tab from top tabbed menu. There you go — lots of meta data. What else is on this site, I dunno. “According to Eli, a photograph of a station is just one point in time, and don’t count because they’re only interested in temperature changes and not absolute temperatures. Not so fast, here. Take just the one case where an air conditioner condensor was located close to the station, and a noticable jump in the record occurs in 1985 (probably when the air conditioner was installed). That station should NOT be used in assessing temperature difference between, say, 1970 and the present. Also, the audits are not limited to one picture, since will identify all sorts of important changes that have ocurred through time, such as a move to tarmack from grass. 56: From my experience whitewashing a fence when I was much younger, Whitewash usually has a matte finish and usually isn’t all that smoothe to the touch. Paint usually looks more plastic. From any distance, it may be difficult to tell unless they used high gloss paint. I just used google maps with the 6 digit lat-long from your list for my local airport and google nailed it! That satellite view stuff is a real tool. Correction: if you go thru the above procedure for Marysville CA there is some extra metadata than I’ve seen before for that site, too, plus accurate lat-longs. Earlier I had forgotten the last step. Ms. Rabetts sister the CPA says the goal of an audit is to verify, not falsify. I was being ironic and I agree with your retort entirely. I would have used a smiley face icon, but I’m a newby poster and don’t have that level of skill, yet. Agreed! Verifying that GISS stations are indeed high quality seems rather valuable. Maybe you should have checked with the CPA before concluding that the purpose of this effort is to falsify the GISS? #67. Most financial statements are confirmed by audits, but that’s not a reason not to have audited financial statements. “Falsify” is not a word that I used. Personally I have no doubt that modern temperatures are warmer than 19th century temperatures, Are they warmer than 11th century temperatures? I don’t know. I think that there’s evidence both ways. Is it warmer now than in the 1930s? I think that it probably is. Does GISS overestimate the difference? I have no personal basis for saying that it does or it doesn’t, but I think that it’s worth checking the impact of these adjustments and station histories. As a reader has noted, I think that the SST adjustments are more germane than land-station issues anyway. http://tamino.wordpress.com/2007/04/03/temperature-record-of-the-week-switzerland/ , showing warming at sites that do not have incinerators venting on the thermometers. Given the history of CPAs auditing big firms in the US, I am not sure that is a quote i would be proud of Eli…can you say Enron and Arthur Anderson? AA certainly did “verify” the Enron financial statements. Those statements were thoroughly “audited”…Enron “falsified” them and AA “verified” them. I am not sure a CPA who believes that the goal of an audit is to “verify” the results is somebody we want to take advice from on scientific methods. Science is built on the ability of a hypothesis to withstand attempts to prove it to be false. If the “science” being put out by climate groups in the form of adjusted temperature data from various weather stations can’t withstand being tested by a bunch of amateurs taking pictures, then it doesn’t deserve to be used as the basis of the largest global project ever undertaken. If the USHCN is as robust as is claimed, then we should be unable to find any faults with the stations and the photo project should fade into silent oblivion. If we instead find a bunch of measurement biases that are not accounted for in the data series being used for the various stations, then anybody who refuses to acknowledge the weakness of the resulting temperature databaseis by definition a “reality denialist”. 69: Interesting links. The curves seem to match closely with the periodicity of the solar cycles. Note also that all the records shown in the second link show a decrease since about 2000 (the peak of the last solar cycle, BTW). It will be very interesting to see if this continues. I’d bet a case of beer on it, but not a whole keg, yet. If you can’t verify, then by definition it has been falsified. Yes one does falsify a theory. What most people take as a “confirmed theory” is one that hasn’t yet been falsified despite many different tests. Or maybe it has been shown to be less accurate than a competing theory but good enough for some applications. For instance, Newtonian physics is good enough to send somebody to the moon but falls apart under certain situations. So if the verification test fails, what do you call that? Yes, falsifiability is a fundamental step in the scientific method. RE 50.. and other references to FALSIFY. to a point. and then we move to another room. where we can spin our philosophical wheels, while SteveM and Anthony do some real work. Any thoughts on the discontinuity in the Swiss data at around 1988? Kelly’s link struck me as worth a closer look. Equipment change is a possibility but I would expect the Swiss to have been very careful about any such obvious discontinuity. Sounds like there’d have been a place for her at Arthur Anderson. They were very good at verifying Enron’s books. The duty of a CPA is to test the books against objective accounting standards. That’s a test uncontaminated by desires or expectations. The outcome may either verify or falsify the book-keeping. Your sister may want to adjust her perceptions to more accurately reflect her professional ethic. Likewise Anthony Watts’ measure of USHCN sites against good-practice standards. It’s a test, so long as objective and open standards are applied. So far as I can see, Anthony has been entirely transparent about that. No honest scientist should have anything to fear from such an audit. Further, any honest scientist would welcome such an audit because, if worse came to worst, errors would come to light, the data set would be improved, the quality of the science would advance, and the conclusions would be stronger. Scientsts look for errors and welcome them when they’re found (often with some hard swallowing, it’s true). They lead to nothing but improvement. I think that this is a very good idea if the stations that you mention are part of the USHCN or GHCN networks that CA and surfacestation.org are focusing on at the moment, but I am not a scientist. From time to time I pass through Malvern. From 1974-2004 CET used 4 sites – none of them really in central England! Before 1974 it used a variety of other sites. Various fudges have been used to attempt to compensate for all this (Google “Parker Horton, uncertainties CET” to find a 2005 paper on this). But it seems pretty clear that CET is fairly useless as an indicator of climate change since the goalposts keep moving and all the sites are urban over the key period. See also the earlier thread on this. I agree that the CET has little significance as an indicator of global climate change, but it is a gift to headline writers who want to spread the AGW message to the ill-informed. See the Met Office press release about April 2007 being the warmest for 350 years and the way in which this was used by the UK media including the BBC. The CET’s role in the battle for public acceptance of AGW is certainly significant, and for this reason it may be useful to take a look at the sites. I agree, the CET is not a good measure (although it is widely quoted in the UK). Not all of the stations in CET are used in GHCN as far as I can tell. However, other stations in GCHN, which are not part of CET ARE in Central England. As Anthony is not intended to extend to the UK yet, we could check out some of these sites in the same way. It would be an interesting exercise to see if sites which are in the CET, but not in GCHN are better (in terms of microsite issues) than those CET sites that are in GCHN. This relates to hot wire annemoeters, but temperature measurements have similar problems (however frequency response is not an issue). This calls into question the accuracy of wind speed data collected with such instruments. You will also need frequency of calibration. NIST traceability. Instrument drift over time. Dates of calibrations. Method used. Amount of adjustment made. Instrument manufacturer and model number. RTD are notorious for drift due to mechanical effects. Such mechanical effects can be induced by temperature variations alone if the variations are of a wide range. Thermocouples have cold junction calibration problems. Also alloy composition problems. Thermistors are subject to large (on the order of 1%) gain variations due to their semiconductor nature. You have to do two or three point calibrations to get the curve right on a particular instrument. And any thing else along those lines that would be pertinent. In the winter time you will have snow cover vs no snow cover differentials. How often is the grass mowed? Are the dates and times recorded? If electronic instruments are used what is the amount of power required and how does it vary over time and temperature? If the data conversion is done at the instrument what is the drift of the data converter with temperature? If data conversion is done remotely where are the wires placed and how much do they influence the measurement? How stable is the temperature envirnment of the converter? With all the confounding factors you are looking for a 1 deg C signal (over 100 years) in a 50 deg C (or more) variation. If you consider all this on a Kelvin basis you are looking for a .3% signal in 17% noise. What are the odds? If we are talking frequency – easy. If we are talking voltage (since that is how temperatures are measured electronically) – hard. A data converter that will maintain .1% accuracy over time and temperature is very expensive. Plus you can have jumps due to mechanical effects. i.e. strain variations on the package leads. The jumps are unpredictable. They could happen right after calibration. I forgot to mention that instrument power consumption influences will vary with wind speed. Douglas, AZ, on the other hand, is bad. The sensors “have been moved several times”; the MMTS temperature sensor is currently at 1400 10th street, right in front of the fire building. It’s 10 feet from the building and 10 feet from a sidewalk and auto traffic. (though it’s partly shaded by trees and the lawn nearby obviously gets watered). RE: #84 – 86 – I am a scientifically trained manager with years of hands on experience in high tech R&D, business operations and quality management. I want to point out just how important what M. Simon has written here really is. The ability to discern whether something is a true signal or noise response is important in a number of areas. My own related experience (20 plus years) is in computer systems and advanced aerospace and telecoms systems. In these areas, we now confront systems run at very low voltage levels (in order to accomodate increasing circuit density and avoid thermal management issues). Imagine some of the scenarios considering the fact that most large ICs now include built in thermistors (in order to reduce power or shut down outright, at certain predefined limit settings). False positives are the bane of existance of those designing such protection systems. However, a missed positive is even worse – especially when equipment is deployed in data centers with Halon or other fire prevention systems built in. Read M. Simon’s posts on this and other threads. Especially if you are career long scientist or academic who has not been in the technology industry. Read them with an open mind. Thanks. Re: 65, I tend to think of what we’re doing as QA. The purpose of a QA audit is to discover possible errors so they may be analyzed and corrected. The best way to do this is to have a separate team whose entire focus is finding errors. Good software developers *like* that their work gets QA attention, because they want to produce a high-quality product. Contrariwise, if the developer is reluctant to give QA the detailed info it needs to test his product, that’s a good indication that the product isn’t nearly ready to show the world or rely upon in mission-critical applications. A data converter that will maintain .1% accuracy over time and temperature is very expensive. Depends on what you mean by “very expensive”. Delta-Sigma A/D converters would be the likely candidate for doing temperature measurements. Total unadjusted error in the single digit ppm range can be had for a few dollars. Delta-Sigma A/D converters are ratio metric, the drift in error over time is for the most part dependent on the voltage reference. Analog devices AD780 2.5 volt reference, budgetary price of $3.80 (actual OEM cost would be significantly lower), has an average non-cumulative drift of 20 ppm/1000 hours and a temperature drift of 3 ppm/ degree C. Meeting the “0.1% accuracy over time and temperature” spec would be trivial. Imagine some of the scenarios considering the fact that most large ICs now include built in thermistors (in order to reduce power or shut down outright, at certain predefined limit settings). Thermistors are not what is used. Temperature measurement on large semiconductors is done by measuring the Vbe (voltage of the base emitter junction) of a transistor that is fabricated on the die for just that purpose. white paint. I believe he located a formula for the paint. RE: #90 – It’s a de facto thermistor. I was trying to keep it simple for people not in the biz. And not to get distracted, my point was the issues of false positives and missed positives. Do you agree with what I wrote? I’ve posted a quick n dirty reformatting into KML (google earth format) of the USHCN station list here for anyone who might find it useful. Watt’s calling in from the Nevada Desert, Anthony reports he has surveyed Lovelock and Fallon and will try for Reno in the morning. However, Reno is a major airport with lots of security, they may not let him get even close. “It is getting weirder and weirder,” said Anthony. “Lovelock has three ACs blowing on the shelter, it has a light bulb inside, and it is in the shadow of a Soviet MIG.” At Fallon the actual site is ten miles from the USHCN recorded Lat/Long,and it took three hours of CSI work to find the station. I guess it was moved out anyone taking notes. I would have given up after about one hour. Stay tuned for the pictures when Anthony finds a WiFi connection in Reno later this evening. Anthony/Russ, I noticed that the up-close photo of the Darlington, South Carolina MMTS shows something dark (fungus and/or dirt) on the sensor slats. That accumulates over time and, like most dark materials, probably absorbs radiation. Also, if the MMTS is made of a polymer, its properties with respect to radiation may change over time. RE: #96 – Reno is definitely not a rural site. The airport, while not in the CBD area, is in a well built up area. It has hotels and warehouse type businesses, with typical 1980s – present strip development on the major arterials surrounding it. Re Tahoe City MMS location: The MMS location for the Marysville station doesn’t match the Fire Station to all the digits shown. IT looks to me like the MMS locations may be wrong if pressed to all their digits. I agree with your points if those are the type of converters and references used. Now what is the actual case for an instrument used in 1990? If any resistors are used as voltage dividers between the converter and the sensor things get worse. In addition there is still the calibration problem. In the older instruments this was done manually. So it is quite likely that recent instruments are pretty good. How about older eqpt? Say from 1950 to 1980? How about before 1950? How well did the mechanical instruments perform? How often was calibration done? If you hope for ppms of accuracy the lead lengths make a difference in converter performance. Cu varies at a rate of about 4,000 ppm/ deg C. Proper design is critical to achieve the data sheet accuracy. Can the designs be audited or are they proprietary? And I haven’t even gotten into EMI. A very difficult problem. Especially since you are basically using a rectifying junction as a measurement device. You want to have a sensor shielded from EMI and yet accesable to the outside world. Not trivial. Then there is self heating – which will vary with wind speed. Internal noise sources like a microprocessor galloping along at 20 MHz. Or the power supply noise which can feed through converters and switches and especially amplifiers. There is also the problem of temperature variations stressing the leads. Then you have the problems of semiconductor switches. Cross talk. Thermocouple junctions. etc. I’m still sticking with .1% is hard. Easier with the new stuff. Data sheets are only the beginning. I have designed instruments. It ain’t easy. Then you have to look at NIST traceability. And calibration intervals. Going forward things look pretty good. Going backwards – not so good. The further back the worse. There is an old saying in the instrument business (which I just made up) “it is easy to get 12 bits of performance from a 24 bit converter”. Found this. Might be of interest. UHI study. The radiation shield bias of the maximum and minimum temperature system (MMTS) relative to the US Climate Reference Network (CRN) was investigated when the ground surface is snow covered. The goal of this study is to seek a debiasing model to remove temperature biases caused by the snow-covered surface between the MMTS and the US CRN. The side-by-side comparison of air temperature measurements was observed from four combinations of temperature sensor and temperature radiation shield in both MMTS and US CRN systems: (a) a standard MMTS system; (b) an MMTS sensor housed in the CRN shield; (c) a standard US CRN system; and (d) a CRN temperature sensor housed in the MMTS shield. The results indicate that the MMTS shield bias can be seriously elevated by the snow surface and the daytime MMTS shield bias can additively increase by about 1 °C when the surface is snow covered compared with a non-snow-covered surface. A non-linear regression model for the daytime MMTS shield bias was developed from the statistical analysis. During night-time, both the cooling bias and the warming bias of the MMTS shield existed with approximately equal frequencies of occurrence. However, the debiased night-time data based on the linear model developed in this study was less significant due to relatively smaller biases during night-time. The debiasing model could be used for the integration of the historical temperature data in the MMTS era and the current US CRN temperature data and it also could be useful for achieving a future homogeneous climate time series. This article is a US Government work and is in the public domain in the USA. Published in 2005 by John Wiley & Sons, Ltd. Yes to everything you wrote plus the problems that arise after you build a few prototypes and discover that they don’t all perform identically. You find out that the epoxy used to bond the thermistor down hardens erratically putting strain onto the thermistor which shifts it’s resistance-temperature curve. Then, as the epoxy relaxes you discover that your thermistor is “drifting” one hundred times faster than it’s specification. Then there is cost – 100 ppm/deg C resistors are a dime, 5 ppm/deg C resistors are five dollars with a 20 week lead time and a minimum buy of $100 per resistor value. 20% thermistors cost a dollar, curve matched .2% thermistors cost $40. It takes a technician considerable time to calibrate each individual instrument at a burdened cost of $50 – $75 per hour. The instrument gets very expensive very quickly. It’s one thing to build a single instrument in your garage that performs well, but a thousand units that all perform identically is a different beast entirely. The difference is why a good electronics design engineer earns six figures. Has any one been able to obtain calibration record for the instruments? I have asked a few times and have yet to see a response. Without calibration records you don’t have data. You have a crap shoot. In the last couple of years the price of precision resistors (50 ppm for 1%ers) has come down. Resistors of .1% tolerance are down and they are rated at (25 ppm I think). However resistors not only have initial tolerance they have life time drift. You figure over life a 1% resistor will drift to as much as a total 5% tolerance. The .1% jobs will be better, you may wind up with .5% over life. The best jobs are custom resistor arrays. However, they can run from $10 to $50 depending on accuracy and drift spects. And that is in quantity. RE: #103 – RE: The LANDSAT IR image …. temperature?….. or ……. heat flow? I think given that these stations are gathering important data, somebody should be checking them for accuracy and consistency on a regular basis. Gathering this information and photos on the state of the stations is a great idea, as a first step and as a repository of information. It’s too bad that all the stations don’t have a web site that shows the station, tells a bit about it, and has the history up there. Or even cooler, MRTG running on the site graphing the data the station is collecting in real time (and then of course, historically. Good for proving to both the public and policy makers that what they’re being told is true and that the information is reliable. Gives everyone confidence. That we can also check to see if there are bad stations and remove them is a good thing too. Great! I meant already have their own web site with the info and data. I don’t know SteveS. When I saw that Landsat image I started wondering what was available! mucking about the landsat site, but it looks like it has been turned into a art repository. Is your research limited to the US; have you obtained, or are you considering obtaining, data from around the rest of the world? If not, how would others go about accumulating similar data in, for example, Australia, where I live? How do we find station locations?